Last Saturday (14 June 2014), we participated in a walk that was organised as part of the ongoing Hubback Exhibition. The walk was led by Ar. Ahmad Najib Ariffin and Ar. Rosli Mohd. Ali and covered three heritage buildings designed by A. B. Hubback who was then an assistant architect at the Public Works Department. 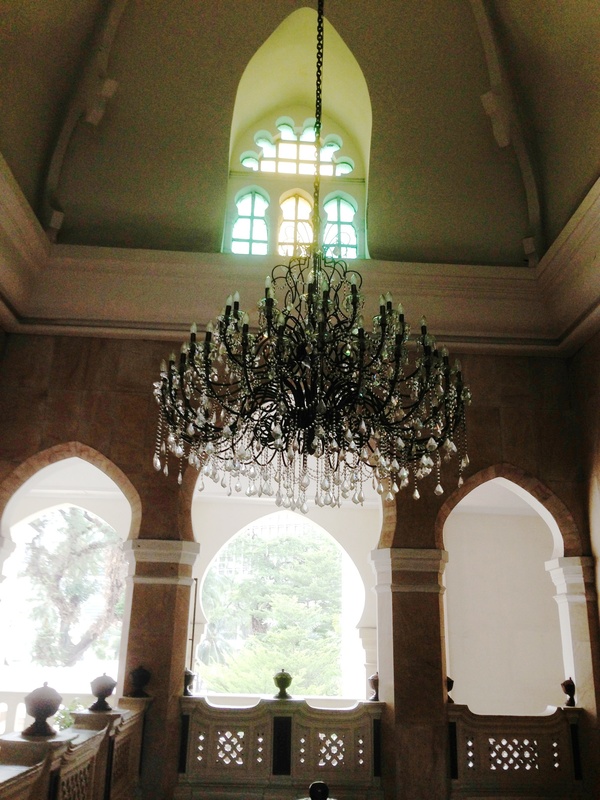 We started at the National Textile Museum (1905), then went on to the Sultan Abdul Samad building (1896) and ended at the Jamek Mosque (1907). The purpose of the walk was to sensitise the lay-person to the unique architectural styles and construction techniques employed by Hubback and the state engineer he worked with, C. E. Spooner. 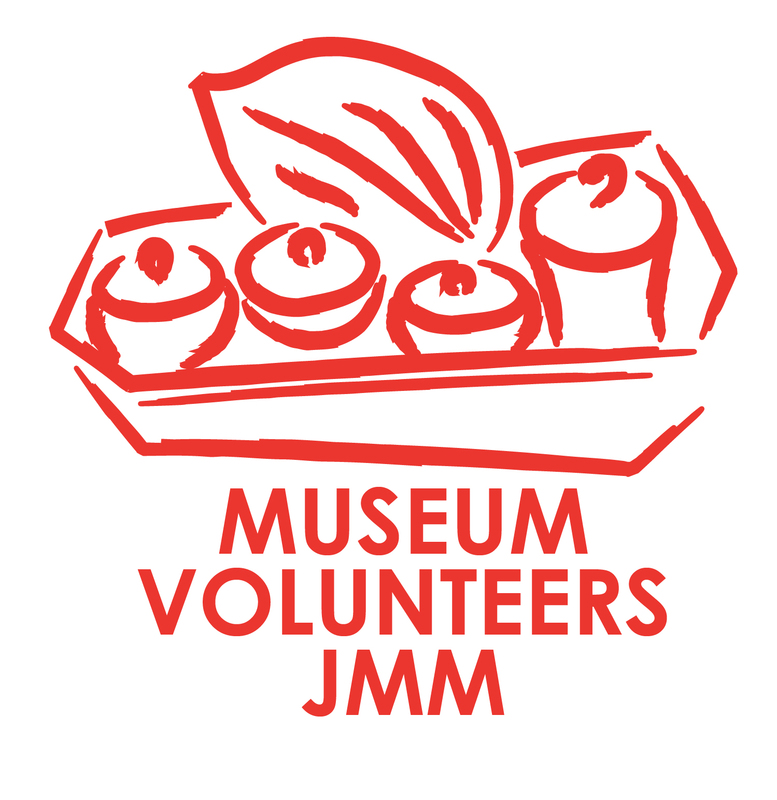 The National Textile Museum (2007) started life as the Headquarters of the Federated Malay States Railways Service, then housed the FMS Public Works Department. 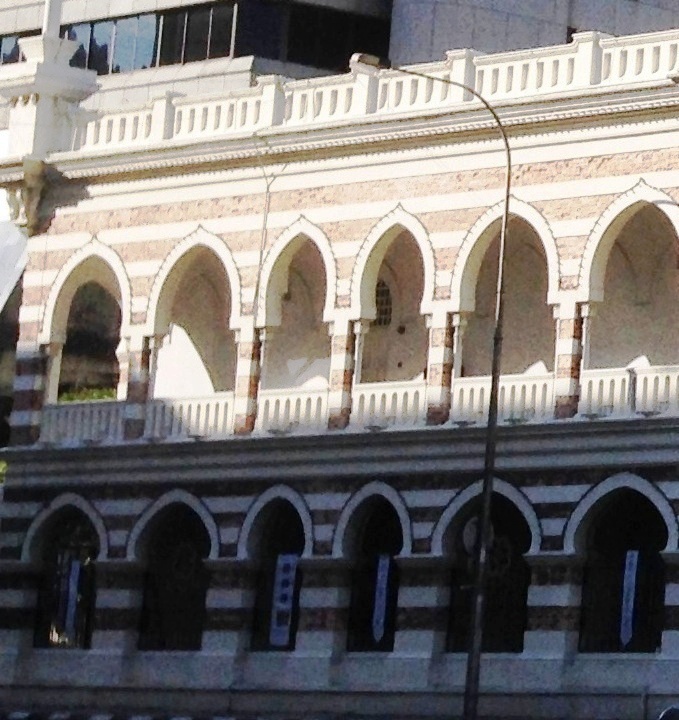 From 1959-1971 it served as the Headquarters of Bank Negara Malaysia. 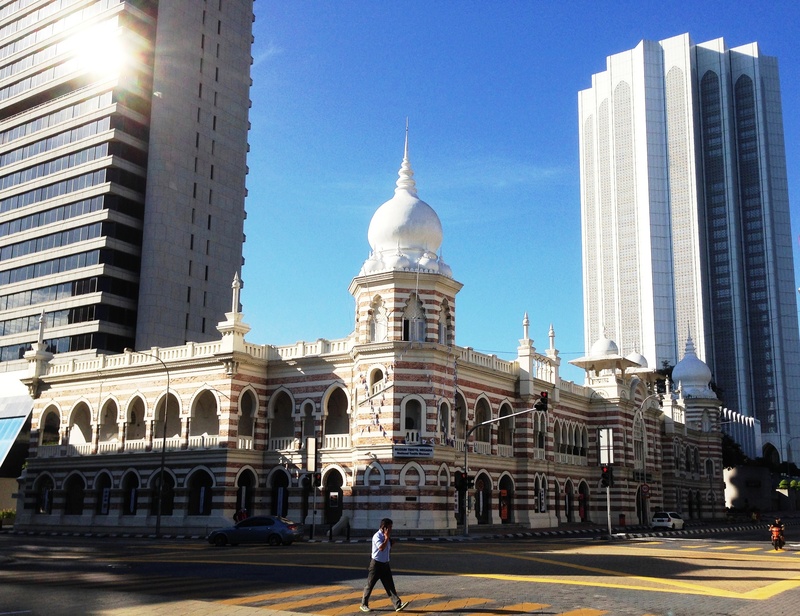 The Sultan Abdul Samad building was built as a Government building to house the FMS. Administrative Office. From 1957 it housed the High Court and the Supreme Court and today, since 2007, it houses the Ministry of Information, Communication and Culture. This is a north Indian Islamic style characterised by onion-shaped domes and chatris (spires). 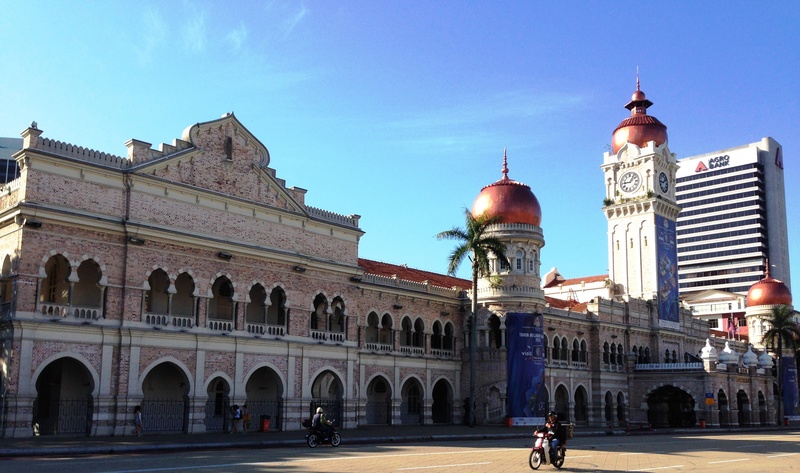 The domes of the Sultan Abdul Samad building are unique in that they are made of copper, the original ones having been donated by the Australian government. This is a term used to refer to the red and white banding pattern of the exterior walls, the result of alternating fair-faced bricks with plastered ones, so typical of Hubback. A good example are the ones used to support the 40 metre tall clock tower of the Sultan Abdul Samad building. These are filled with concrete for added weight bearing strength. Pointed arches and horseshoe arches are predominant features. 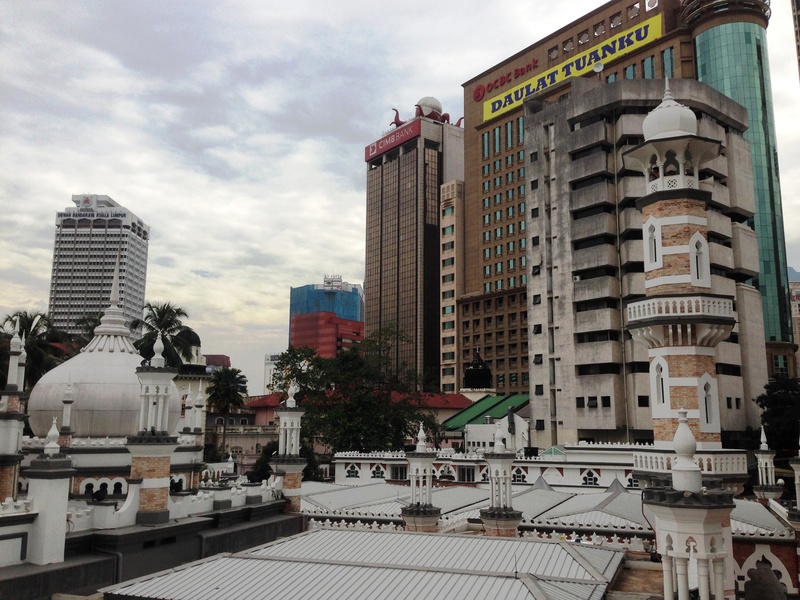 All three buildings are characterized by their onion domed towers with their functionary purposes, one as a clock tower, four as watch towers and the two at the Jamek Mosque for the muadhins to call the people to prayer. We came away from the walk a little wiser and very much more appreciative of the architectural legacy left by the British and, in particular, Arthur Benison Hubback. Good write up & well done Rose Chin. Proud to be with the group.